Santa Cruz Kitchen Hood Precast a fine design with simple stylings. Overhood has faux seamlines to give the effect of stacked limestone panels. 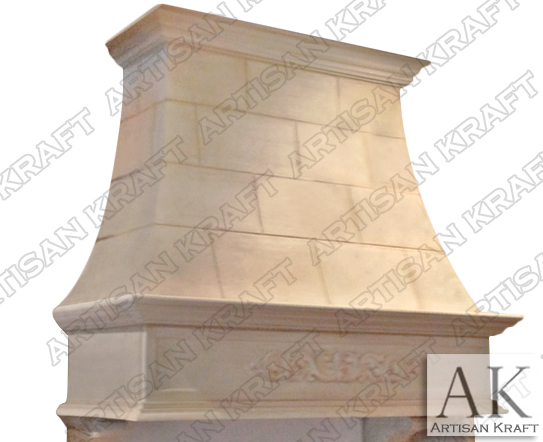 Smaller scroll corbels finish into the wall or marble tiles. Header has a panel with a floral scroll design. Trim above and below the header matches the one at the top. From the wonderful coastal San Fransisco Bay Area city of Santa Cruz comes this stove vent fan cover.